However, you can still record videos in 4K UHD format with your Redmi Note 5 Pro, thanks to the XDA Recognised Contributor Vidhanth, who has now made this possible to enable 4K UHD video recording on the Xiaomi Redmi Note 5 Pro. To enable the 4K UHD recording you will need Root access to your device or you can use a root enabled file explorer like MiXplorer or Solid Explorer to get Root access to your device. Now follow the below steps. Note: It has been tested on the MIUI 8.4.3 global beta (oreo) only, but it might work on all MIUI versions. Let me know if you get stuck. 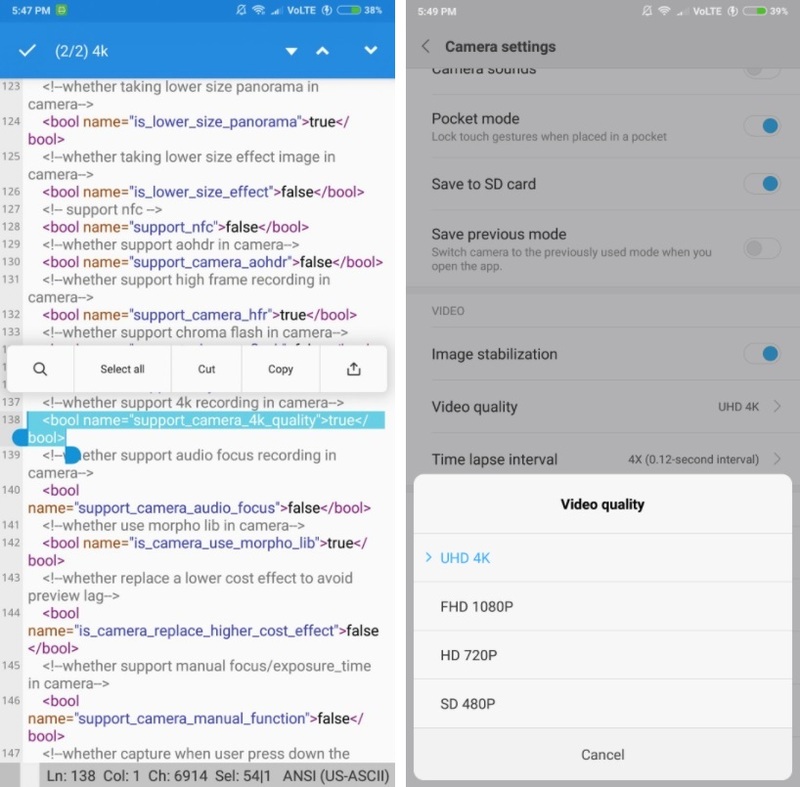 That’s all, do let me know if you have successfully enabled the 4K UHD video recording on your Redmi Note 5 Pro smartphone.